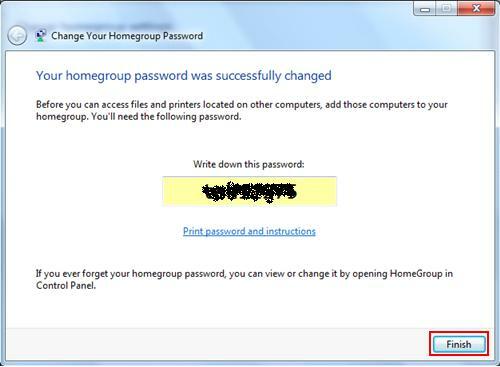 How to change homegroup password in Windows 7? You might want to do this if the original password is not easy to remember and you want to set it to the one you prefer. 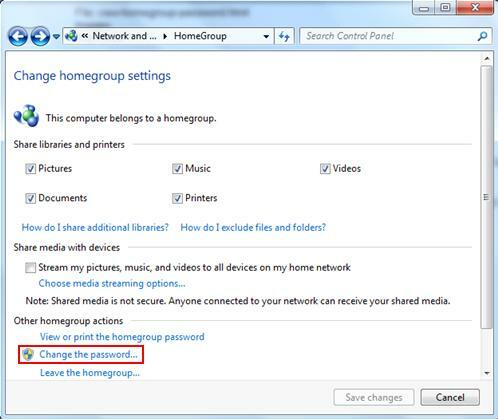 If you want to stop homegroup sharing with some users, you can also achieve this objective by changing the homegroup password. 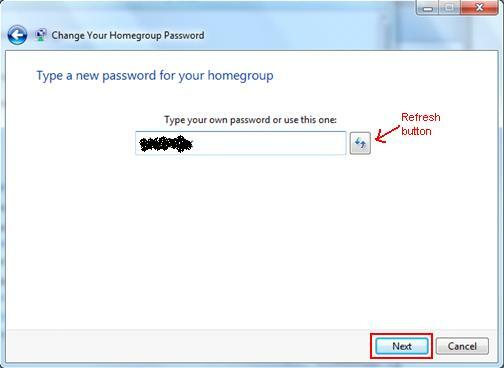 In addition, if you suspect the homegroup password is cracked, then don’t hesitate to change it. Please note all homegroup computers need to use new password to rejoin homegroup after it’s changed. Another thing to note is every computer which has joint the homegroup can be used to change the password, so it's not limited to the computer that you used to create homegroup. 1) As usual, click Start and click on Control Panel. 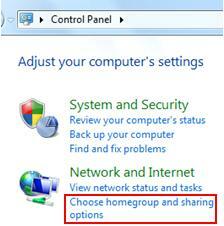 2) Go ahead to click Choose homegroup and sharing options in Control Panel window. 4) Continue to click on Change the password. Please make sure all homegroup computers are on and are not asleep or hibernating when you change the password. Note: If you suddenly decide not to change the password, just click Don’t change the password. 5) You will then be given new password to use (can always press refresh button to refresh), but you can also type the new password which you prefer. Click Next. Note: Please note a good password is composed of number, alphabet (upper case/lower case) and symbol. Don’t use too easy to remember password as it will be easy to be cracked. 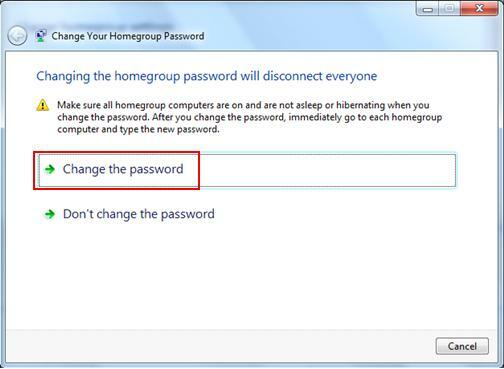 Return to top of "How to Change Homegroup Password in Windows 7"! !